This was a sight to behold. Epic roars could be heard from blocks away. 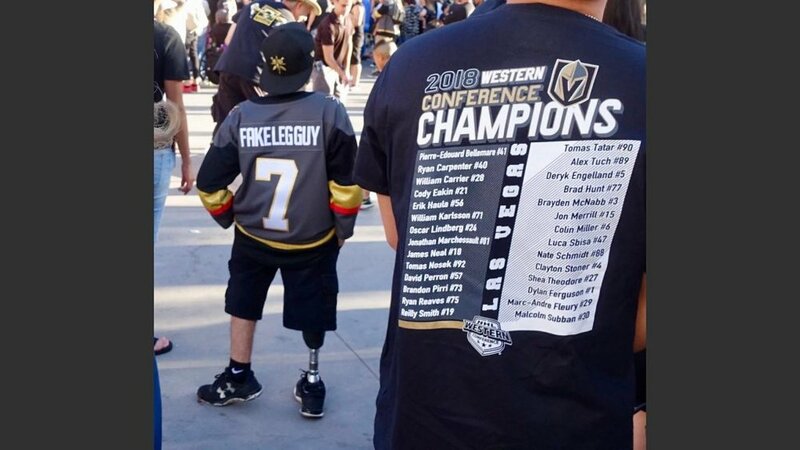 In a turnout that likely ranks as the largest crowd ever seen on Las Vegas Boulevard, tens of thousands crammed the walkway to Toshiba Plaza before the Stanley Cup opener at T-Mobile Arena on Monday. The final number is expected to surpass the record of 29,214 that attended the highly anticipated Larry Holmes-Jerry Cooney heavyweight battle in an outdoor arena June 11, 1982 on a parking lot at Caesars Palace. 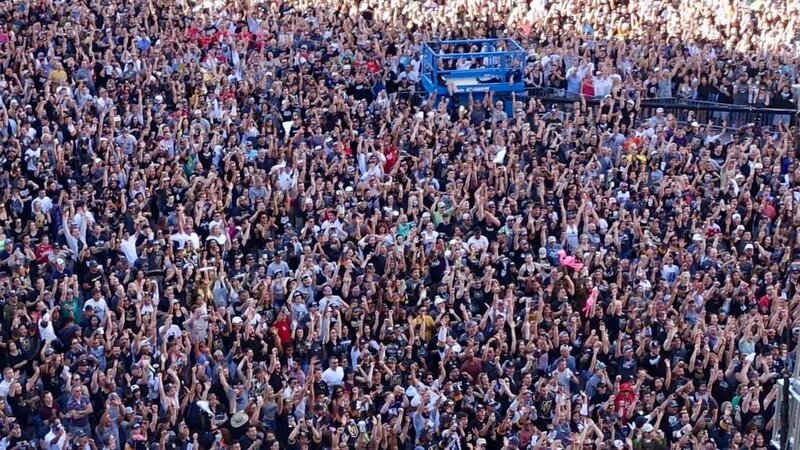 Monday’s huge gathering stretched back from Toshiba Plaza to the space known as The Park (between New York-New York) and included the sold-out crowd 18,000-plus that eventually moved inside the T-Mobile after an outdoor concert by rapper Lil Jon. Arena executives contacted late Monday for an official crowd estimate did not respond by the time this report was posted. The horde would easily beat the paid crowd of 24,570 for Muhammad Ali’s meeting with Holmes, also outdoors at Caesars Palace. 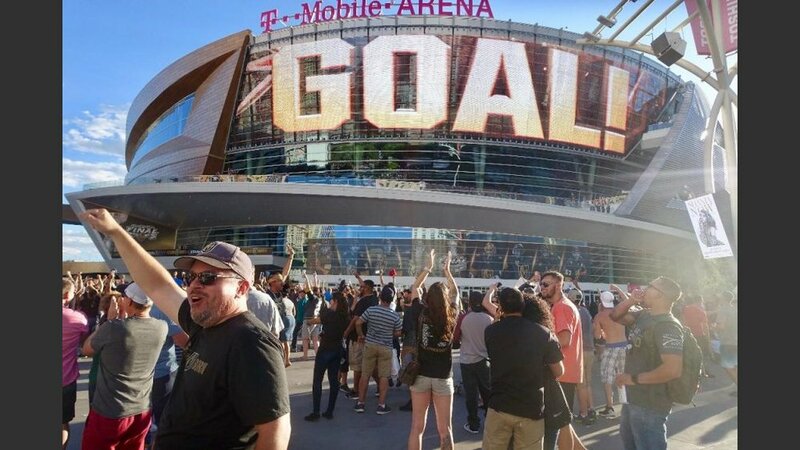 Golden Knights fans who didn’t get into Game One of the Stanley Cup finals were content to watch the action against the Washington Capitals on large screens. They arrived in colorful costumes ranging from a Golden Knight in what appeared to be a medieval helmet made of cardboard, to a guy who was shirtless under his all-gold suit to youngsters in face paint. Ben Burton, 33, was the man in the gold suit. Tall and wearing a star-spangled headband over his crop of reddish hair, the bearded Burton had a beer in each hand as he swaggered – not staggered—through the crowd. From Iowa, but a Las Vegas resident since 2010, Burton works for Amazon. 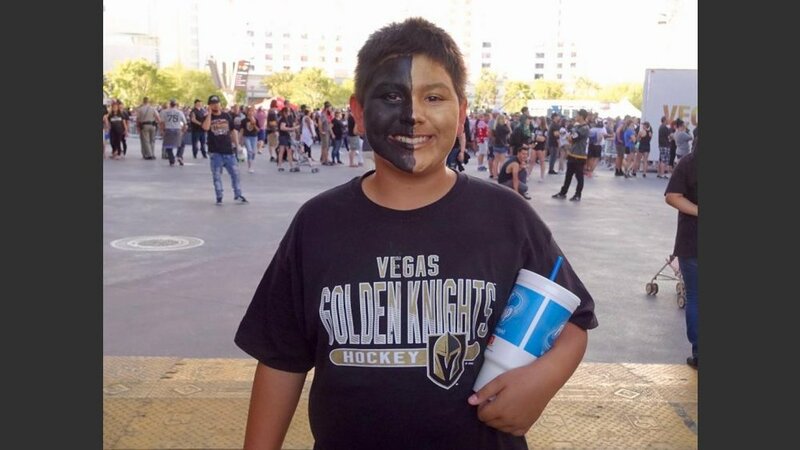 He said adopted the Golden Knights after the Oct. 1 mass shooting because of what they have meant to the city. 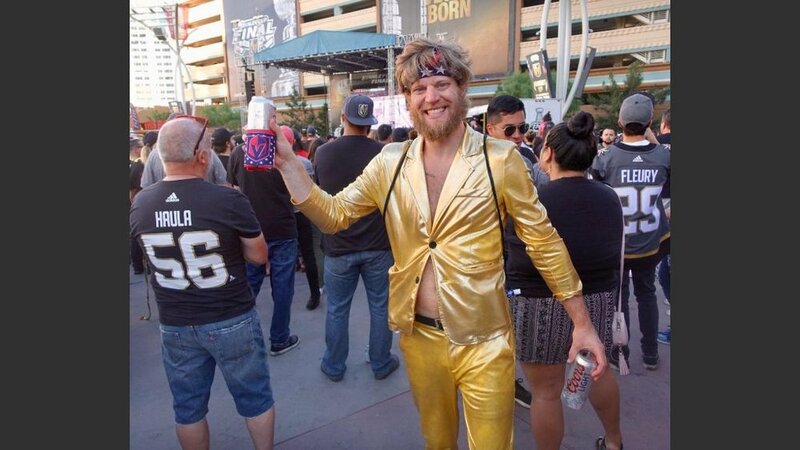 The Golden Knights helped lift the city’s spirits, he said. 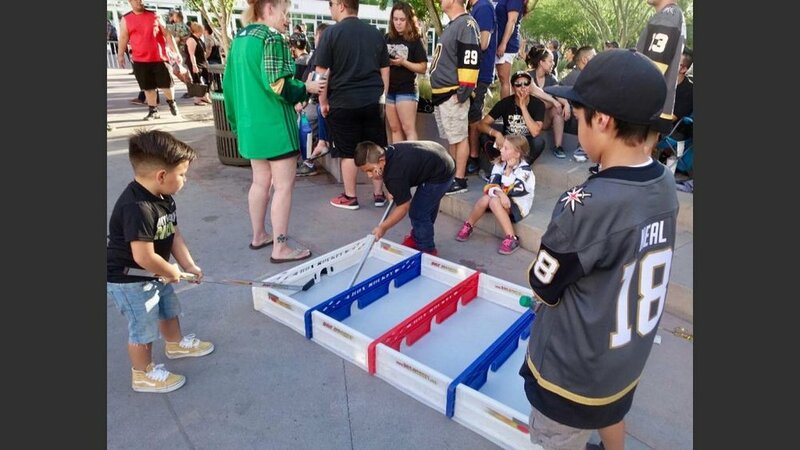 Many parents brought their children so they could say they were part of the magical Stanley Cup season. Adriana Rubio, 36, arrived at 1 p.m. with her two daughters. An employee at Treasure Island, she works in the pantry as a foodservice professional. 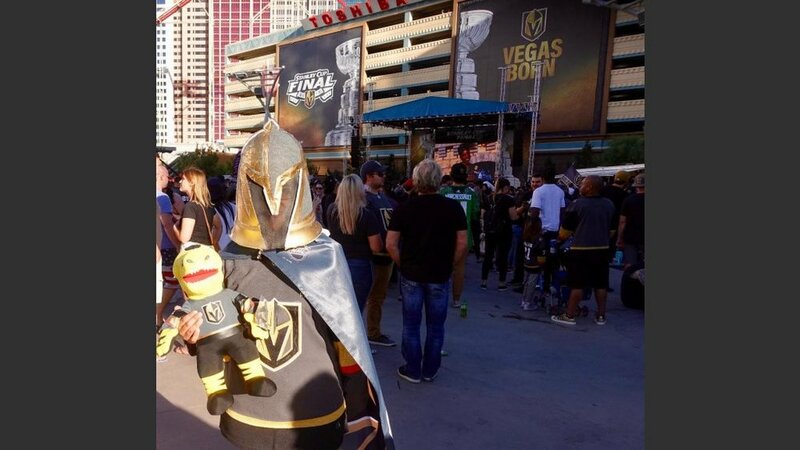 She was wearing the Golden Knights costume with the homemade helmet and carrying a small stuffed version of the Knights mascot, Chance the gila monster. Not everyone was in happy mood. 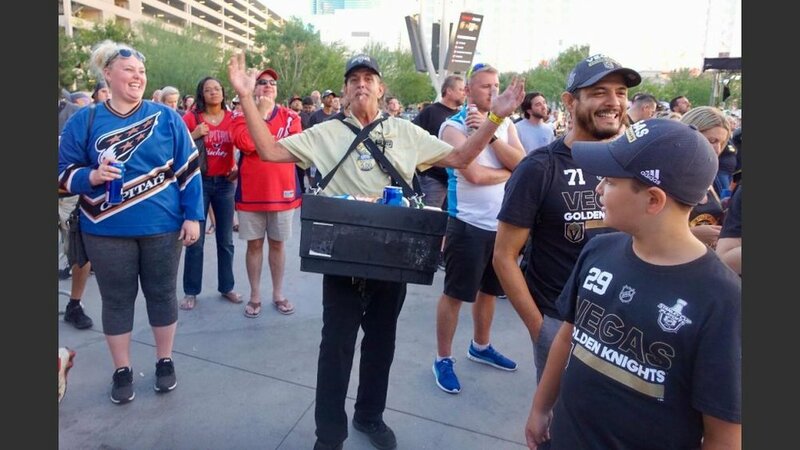 A party of about 10 thirty-something were aggravated that there were not porta-potties at Toshiba Plaza and they were giving an earful to some executives. People were being told they had to use the restrooms inside New York-New York or The Park, formerly the Monte Carlson. “C’mon, you’ve got 12 guest very angry. That’s not acceptable,” one of the women in the group protested. Security was called and another executive arrived. That wasn’t the only issue, scores of people were being turned away from entrance to Toshiba Plaza near the parking garage. Too many people, we were told at the gate. “They didn’t expect this big of a crowd,” a man-in-the-know inside the retaining fence told me. Suddenly, after the heated exchange, someone decided it was a PR disaster no one wanted and allowed everyone to enter.